Adverts? Who likes them eh? But I have always been a fan of good adverts that passes off as an art form. Take Fallon's excellent Sony Bravia 'Playdoh' or Walkman 'Project Music' advert for example. Remove any reference to Sony and these ads could have easily been submitted to Cannes' short film Palme d'Or award for consideration, or indeed any film. Adverts do not need scream buy me in order to be imaginative, it just need to be memorable. Why else do you think Cadbury's 'Gorilla' and the incredible and legendary 'Eyebrow' adverts, both which had nothing to do with chocolates, were so well received? Now that Sony Ericsson has been bought by Sony, it is time to see what Sony Mobile can do. I have high expectations for Sony's new NXT device range but a good phone can only do so much by itself (even Apple has to rely on massive advertising campaign to promote their wares). Sony Mobile along with ad agency McCann Erickson, has recruited Wes Anderson of Fantastic Mr. Fox to direct a new stop-motion animation campaign. 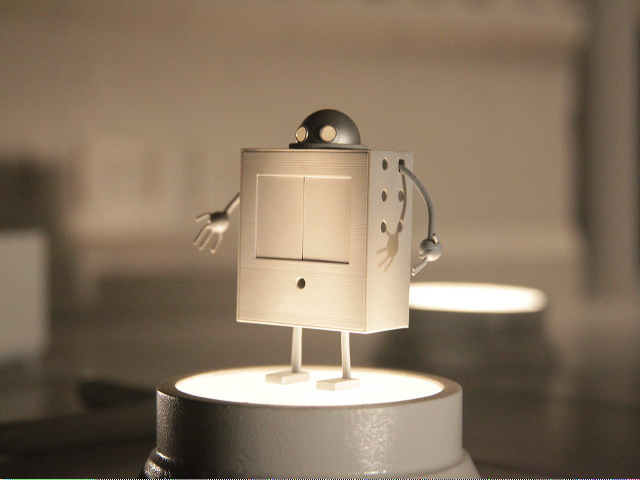 The TV ad will premier on the evening of Saturday 24 March, but they have released a teaser to explain their creation, which will tell the story of their little robot (Android, geddit? ), through 37 handcrafted cyborgs. Sony Ericsson was no stranger to controversial advertisement, so I am curious to see how Sony Mobile's new advertising campaign pans out. It's fair to say judging by the teaser video above, I doubt it will be anything as controversial as 'The Donor', but let's hope it would be equally as memorable. Roll on Saturday.